Dr. Shiva Balaghi is an independent scholar and curator. Balaghi was among the first faculty to introduce the subject of Contemporary Middle Eastern Art at US universities, teaching for nearly two decades at NYU and Brown University. 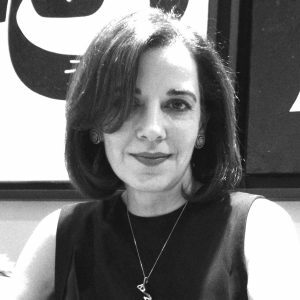 Her recent curatorial projects include co-curating a retrospective of Iran’s leading sculptor, Parviz Tanavoli, at Wellesley’s Davis Museum and curating Ghada Amer’s first exhibit in the Arab world in two decades. Balaghi is an Editorial Correspondent for Ibraaz. She has written widely on visual culture for museum catalogues and publications like Artforum and Canvas. Her books include Picturing Iran: Art, Society and Revolution.